Trainer Mark Casse will dominate the 78th Prince of Wales Stakes tomorrow at the Fort Erie Race Track as his trainees account for half of the eight horses in the field and are the four most favoured in the morning line. 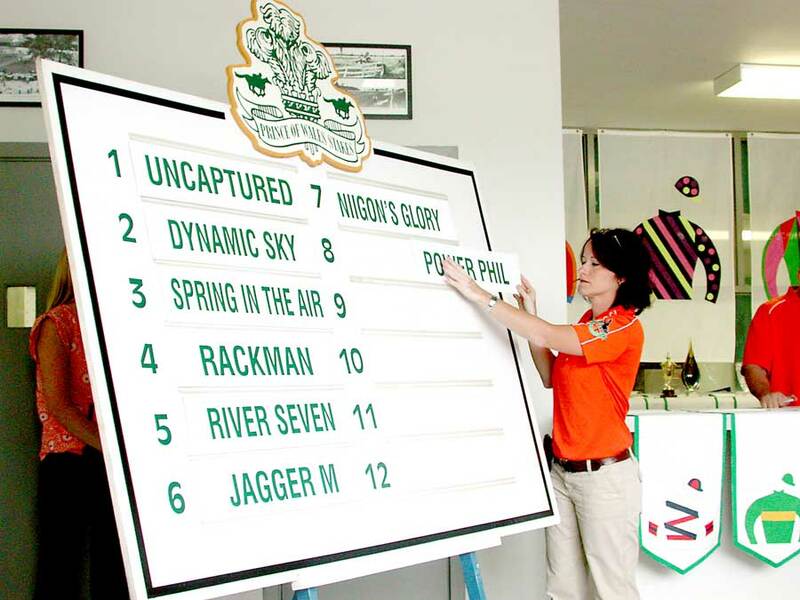 Three of the horses are owned by John C. Oxley – Uncaptured, Dynamic Sky and Spring In The Air – and drew the one, two, and three slots, while Jagger M, owned by Gabe Grossberg will start from the six position. The post position draw was held Saturday with Fort Erie fixture and 1965 Prince of Wales winning jockey Sam McComb the guest of honour. Traditionally held on a Sunday, the Prince of Wales Stakes will be held on Tuesday in hopes of increasing wagering from other tracks. It will be the eighth race and is scheduled to go off at 7:47 p.m. Entries for the full card of racing Tuesday. Queen’s Plate winner Midnight Aria will skip the Prince of Wales, the second race in the Canadian Triple Crown with a purse of $500,000, but trainer Nick Gonzalez indicated the colt will run in the Breeders Stakes in August. However, Gonzalez has entered another Plate runner, River Seven, who came up 10th in the Plate and who the trainer says is better suited to the dirt track at Fort Erie as opposed to the synthetic polytrack at Woodbine. Fully seven entries from the Plate will not run in the Prince of Wales Stakes, but three new entries were added: Niigon’s Glory, Power Phil and Uncaptured. Rackman, who came last in the field of 12 in the Plate, is also entered in the Prince of Wales. Uncaptured tops the morning line at 9/5. He was Canada’s horse of the year and champion two-year-old last year and had been competitive in three stakes races on the dirt at Churchill Downs in Kentucky this year. Jockey Miguel Mena will ride Uncaptured but he has never raced at Fort Erie. Dynamic Sky with jockey Joel Rosario is a 3-1 shot, Spring In The Air with Gary Boulanger is 4-1, and Jagger M with Shaun Bridmohan aboard is 6-1. River Seven, owned by Carlo and Lou Tucci (owners of Midnight Aria), with jockey Eurico Rosa Da Silva is 12-1. Power Phil with jockey Luis Contreras is also 12-1. Niigon’s Glory with Steve Bahen riding is 15-1 and Rackman with James McAleney is 30-1.